Only 7 weeks remain before the kickoff of one of the best festivals in the country! 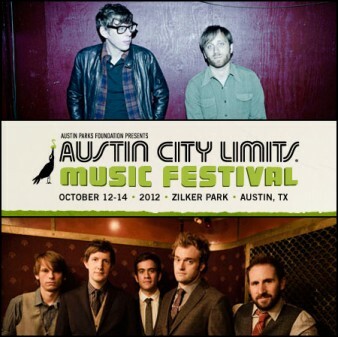 Austin City Limits Music Festival makes its 11th year return to Zilker Park this October 12-14th 2012. 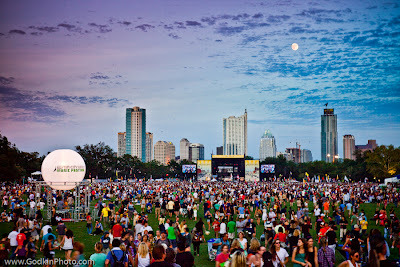 Named after the legendary PBS concert television series, the Festival is produced by Austin-based C3 Presents, who also produce the famous Chicago fest Lollapalooza. Unlike many of the camping- style festivals around the country like, Bonnaroo and Camp Bisco, ACL is a daytime festival that usually ends around 10pm. After the fest ends thousands of fans and fest go-ers crowd the busy streets of downtown Austin and make their way to one of the hundreds of after parties the cities bars and clubs are known for. They don’t call Austin the “Live Music capitol of the world” for nothing; I would say that ACL is the biggest and best presentation of that motto, maybe second in line to the South by Southwest music conference (SXSW). In addition to the vast array of private ACL parties that happen that weekend around the city, C3 Concerts also does an ACL Late Night show series that starts at 10pm after the festival is over and is held at various clubs downtown such as Austin Music Hall, Stubb’s Waller Creek Amphitheater, La Zona Rosa, Emo’s East, The Belmont, Antone’s, The Parish, Lamberts and Wanderlust Live. The artist and venues for C3’s late night shows are listed below in addition to a link to buy tickets. However, if the show is already sold out the best way to get hands on these limited ticket supplies in the future is to join the C3 email list and watch for the pre-sale email they send out the day before tickets go on sale. 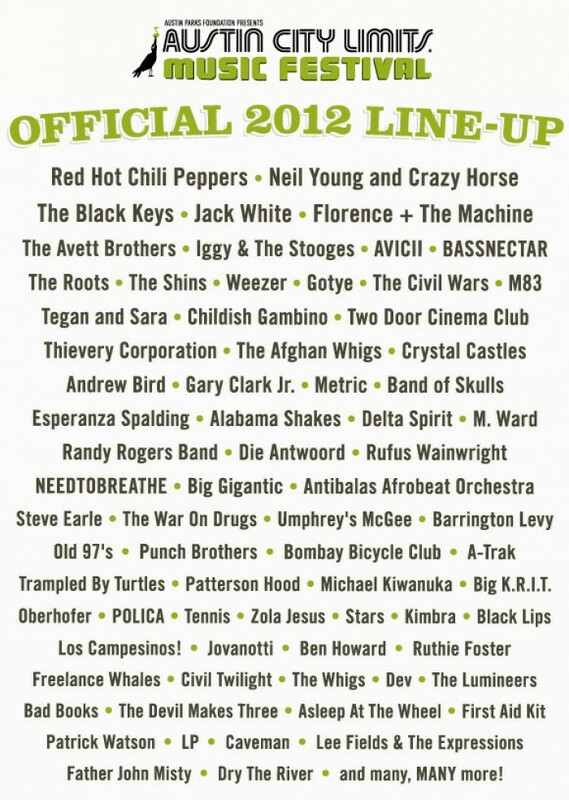 **Stay tuned for another post regarding NEW & UP and COMING 1st time artist to check out that managed to claim a spot on the coveted ACL 2012 lineup, as well as, returning acts that seem to have gotten bigger and better than ever! EPIC LATE NIGHT ACL SHOWS! All tickets onsale Thur 8/23 @ 10 am, online only thru C3Concerts.com.